You'll love the look of these harem pants on the little one in your life. The pants have a comfortable fold over waistband and cuffs. 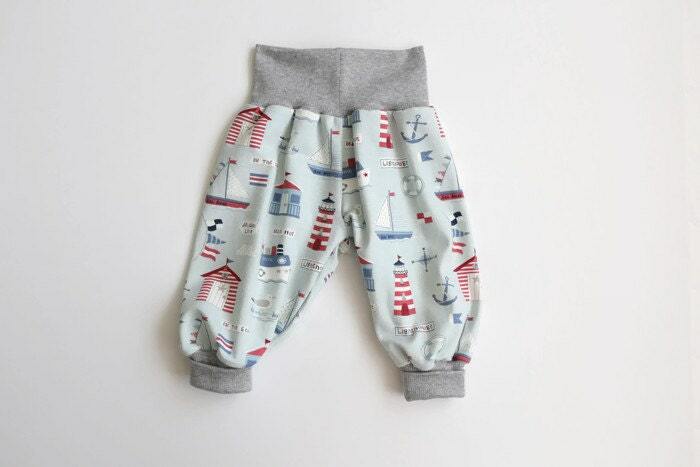 Made from a gorgeous light blue cotton knit with lighthouses, boats and fish, these pants sure look great and they are very versatile! 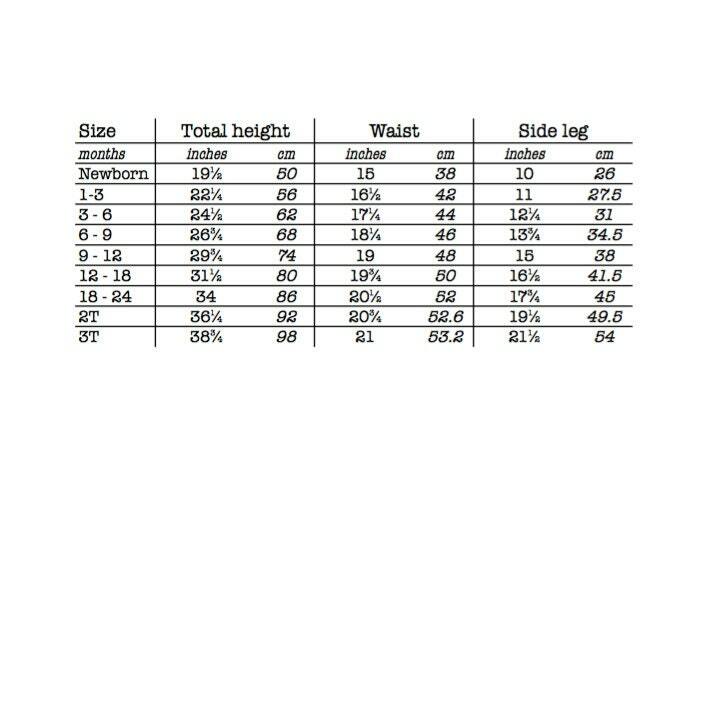 These pants are made from soft and stretchy jersey for extra comfort. The gray waistband and ankle cuffs are made from a lycra with a cotton spandex mix so they slip on and off like yoga pants without any uncomfortable elastic. 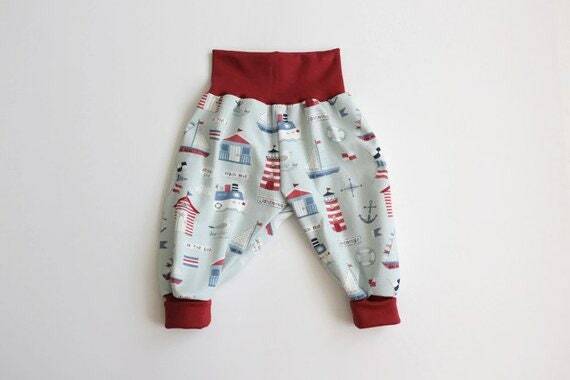 These slouchy pants with long cuffs will grow with your baby. The tall waistband and ankle cuffs can be worn high or folded. When the waistband and cuffs are folded, they can easily fit smaller children. All seams are professionally finished with a serger, made to withstand even the most active child.